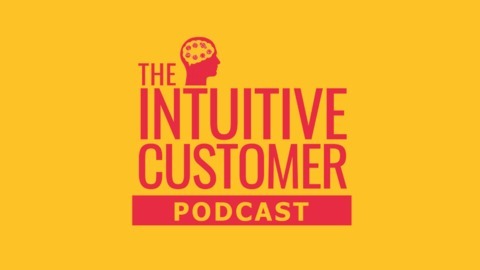 The Intuitive Customer, hosted by Colin Shaw, a world thought leader on Customer Experience & Marketing and Prof. Ryan Hamilton, Emory University, USA. We discuss how you can improve your Customer Loyalty and get a return on your investment (ROI) by embracing behavioral economics. Brought to you by Beyond Philosophy. We have a proven track recording in driving value $$$ through our consultancy, training and market research. Visit BeyondPhilosophy.com. People like choices. They just don’t like choosing, at least not when there are too many options. However, if you give people the option of shopping where there are only two options or where there is a wide selection, people will nearly always choose to shop where there are many choices. Then, when they get there, they can’t make a decision and feel frustrated and disappointed about it. 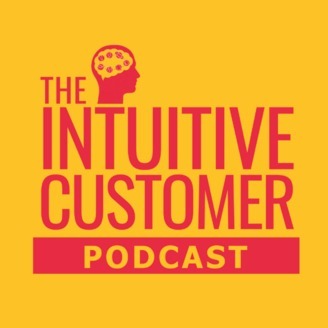 This episode of The Intuitive Customer explores the issues of too many choices and the adverse effects it can have on how your customer feels during your experience because of them. We also share ways that you can make choosing easier in your experience. It’s clear that too many choices don’t do anything good for your Customer Experience. However, too few are a problem, also. Years ago, I was in Moscow at a store that resembles Best Buy. We were undertaking a Customer Mirror, where we act as if we are customers to get an idea of how the experience makes us feel. I decided that I would buy a webcam—this was before they were built-in to the computer. I went to the webcam section and what I saw there left me feeling gobsmacked. There were hundreds upon hundreds of webcams. They were all different in various ways, none of which meant very much to me at the time. I was paralyzed with choices. So, I did what any sensible customer would do; I gave up. My webcam story demonstrates one of the ways that too many choices have negative consequences for your Customer Experience. I lost my motivation. When we have too many options, we feel overwhelmed trying to sort through all the information to find the best option. We run out of energy for choosing so we don’t, and the store doesn’t make a sale. The other way too many choices have negative consequences for a Customer Experience is that it can change your reference point for satisfaction. If you have more options, you have more chances to pick the wrong thing. However, you can help your customers make choices that will make them feel happy instead of frustrated. You can help them navigate your offerings and feel satisfied with what they pick. First, you have to understand all the psychological concepts at work in the decision-making process. Listen to the podcast in its entirety to learn more about Why Too Much Choice is a Bad Thing for your Customer Experience. Customers Are Irrational! Why? What Can We Do About It?